Wargaming.net is no strange to online multiplayer games, having released online titles for over a decade. With the release of 2011’s World of Tanks, the company really made its mark on the gaming landscape. The ability to pit various tanks against each other in fierce battles has enabled World of Tanks to become one of the most played games online. Wargaming is aiming for that success to carry over to consoles with the release of World of Tanks: Xbox 360 Edition. We caught up with Wargaming Chicago-Baltimore director, Mike McDonald, to find out how the PC game made the jump to Xbox 360. World of Tanks become quite a popular multiplayer game on PC. What do you feel has made it such a success? Wargaming Chicago-Baltimore director, Mike McDonald (MD): Everyone loves to blow things up and tanks do that very well. World of Tanks allows players to play quick tank battles that have more strategy than your average shooter. No two battles are ever the same. What prompted Wargaming to port World of Tanks, a PC game, to a console like Xbox 360? MD: Console gaming is more prevalent in North America than PC these days, so we had to take World of Tanks to where the players are. Why was Xbox 360 a good choice? Is it because of Wargaming West’s experience with Xbox development as Day 1 Studios? MD: Our engine worked on all platforms. 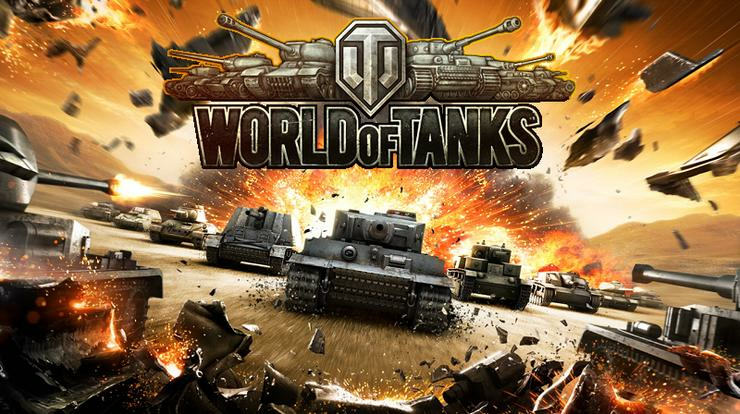 It was Microsoft’s desire to have the trademark World of Tanks battles implemented on Xbox 360, turning it into a premiere console online game experience. How challenging was it to bring a modern PC games to a console that came out in 2005? MD: Very. We wanted to keep the large maps and 30 player battles that make World of Tanks so great. This wasn’t easy on a console with only 512MB of shared RAM. We implement a lot of new streaming and optimisation features to make that happen, and we are very happy with how it turned out. Why only port the game to Xbox 360 and not PlayStation 3 as well? MD: Free-to-play games are just starting to make it into the console gaming experience. We wanted to focus doing one new thing at a time and Xbox Live had the biggest audience. Where we go in the future is yet to be determined. World of Tanks: Xbox 360 Edition comes in the wake of the Xbox One launch. Any plans to release an upgraded version of the game for Xbox One? MD: For a free-to-play game you need a large pool of players to draw from. Xbox One is just getting started and we’ll keep an eye on its growth in deciding future plans. There is already World of Warplanes and Warships, but is there any consideration for spin off titles focusing on infantry? MD: There are no announced plans for games past World of Warplanes and World of Warships right now. Not ones that I can talk about at least. Which is your favourite tank in the game? MD: That’s a hard one. I love fast scout tanks so I would have to pick the Chaffee if I could pick only one. It turns on a dime and has a great gun too. I especially love playing it on Xbox 360 with a controller on my big screen TV. What's the appeal of the Xbox 360 version for you? MD: If feels like I’m watching a car chase movie at times, only I’m the star and have a huge cannon. It’s a bit embarrassing when I still lose control and fly off a cliff or smack into a building, or worse an enemy tank, and become a sitting duck. Recklessness is all part of the fun for me though.